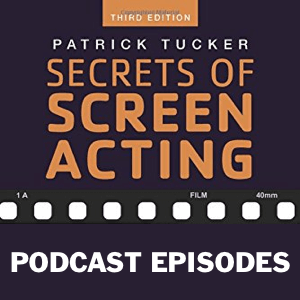 View cart “Secrets Of Screen Acting – Podcast Archive 17” has been added to your cart. 10 of 292 5-minute podcast episodes, from episode 001 to episode 010. Listen as Patrick Tucker and David H. Lawrence XVII explore what makes today's professional actors and voice talent successful, and how you can implement their techniques in your own acting and voiceover practice. 10 of 292 5-minute podcast episodes, from episode 001 to episode 010. Listen as Patrick Tucker and David H. Lawrence XVII explore what makes today’s professional actors and voice talent successful, and how you can implement their techniques in your own acting and voiceover practice. Download your episodes from the link in the receipt you’ll receive after purchase. DOWNLOAD THE ARCHIVE IMMEDIATELY – the download link will expire within 48 hours, and the download is just under 100 MB.